Mute finally release the CAN studio album reissues individually on vinyl. The albums were mastered and cut to vinyl by Kevin Metcalfe at The Soundmasters, London. Remasters and vinyl processing was coordinated by long time collaborator, Jono Podmore. 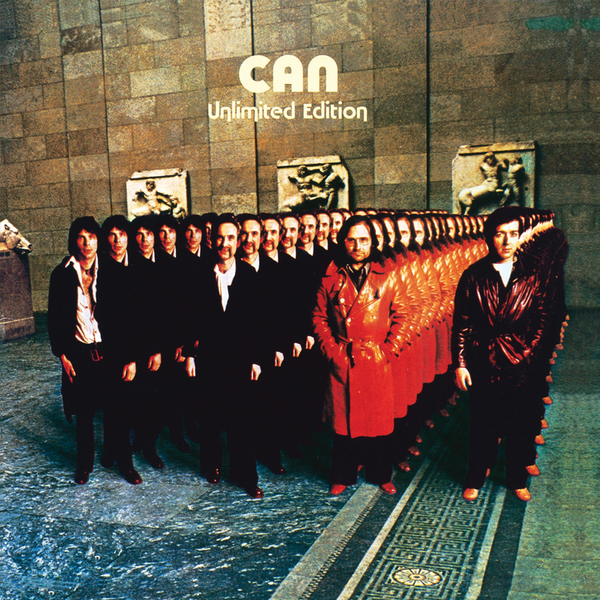 ‘Unlimited Edition’ comes as a double LP and features unreleased tracks from 1968 to 1974, recorded in Can’s private Inner Space studios. It is an essential album for those who want to know more about the roots of the band. Five cuts are listed as part of the band’s continuing Ethnological Forgery Series, on which they recreate or interpret a variety of world music genres through their own vision.